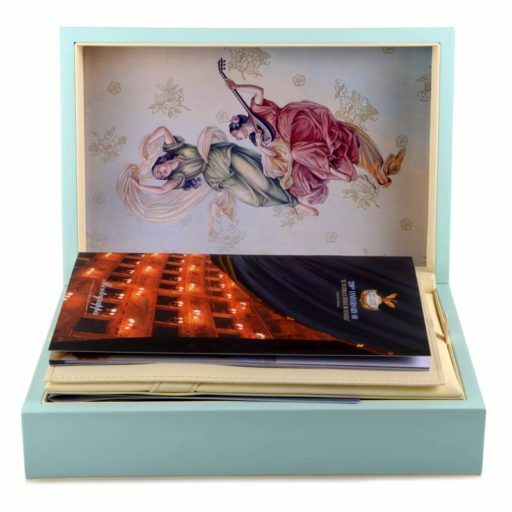 DESCRIPTION: This exquisite rollerball pen from Montegrappa is exceptionally decadent and beautiful. 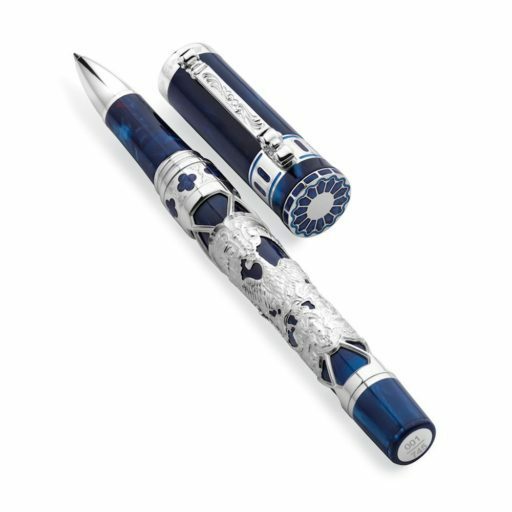 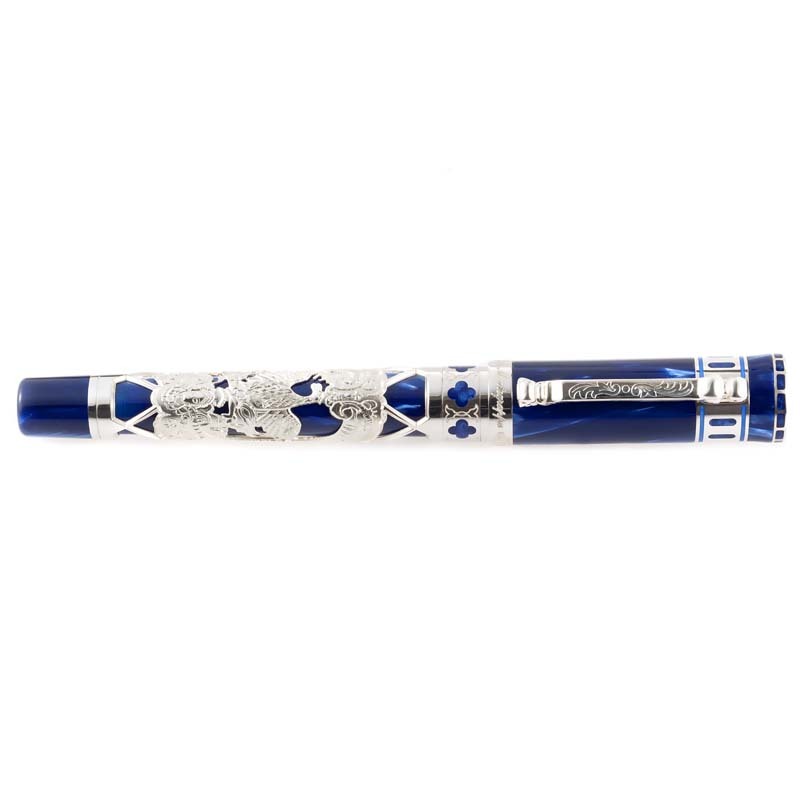 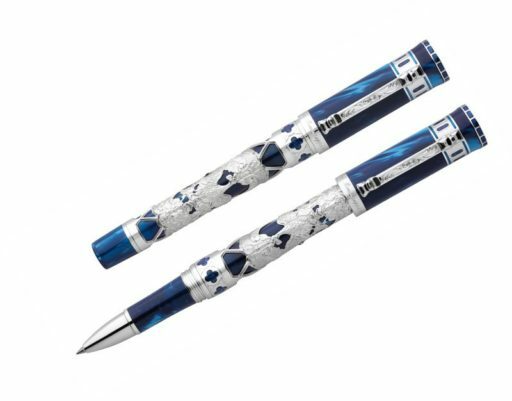 The pen is made of blue resin and is accented with an intricate sterling silver design. 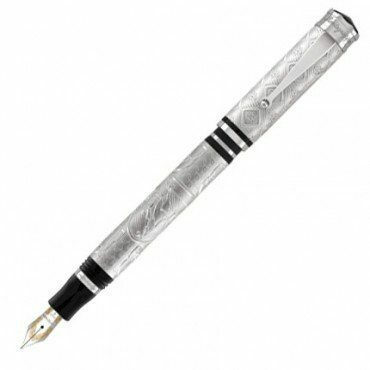 Lastly, the pen writes with black ink.